The Soyuz was considered so safe, tweets about a successful launch had already gone out. At the same time, the two men inside were hurtling towards the ground in the worst Russian manned flight accident since Soviet times. Baikonur’s first launchpad, the same one used by Yuri Gagarin 57 years ago, 11:39 am Moscow time, Thursday, October 11, 2018. In one minute, the Soyuz MS-10, the 139th flight of the various iterations of the spacecraft, will take off. 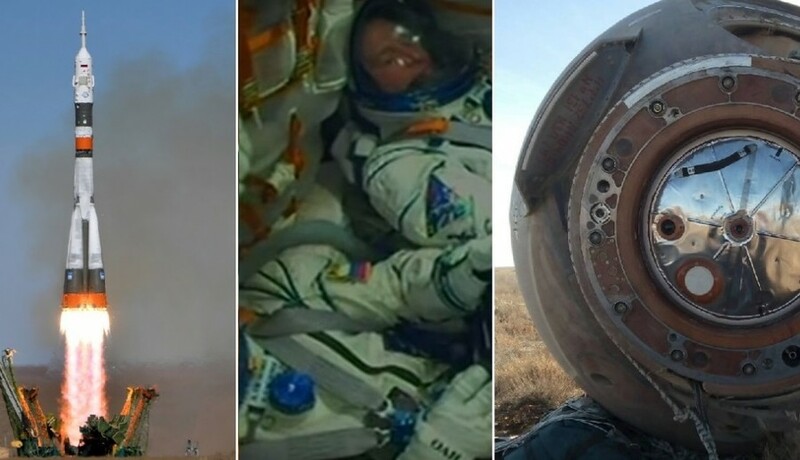 Inside the capsule are Russian commander Aleksey Ovchinin, making his second journey to orbit, and rookie astronaut Nick Hague, an ace test pilot, who has waited five years since his selection as a NASA astronaut for this chance. Strapped to their seats in their bulky spacesuits, the two men appear calm, saluting playfully when asked about their state. The on-board video shows two dangling soft toys above them, a dachshund and an owl. These will serve as floating indicators of weightlessness, once they leave the Earth’s atmosphere, but also mascots. Thirty seconds left. 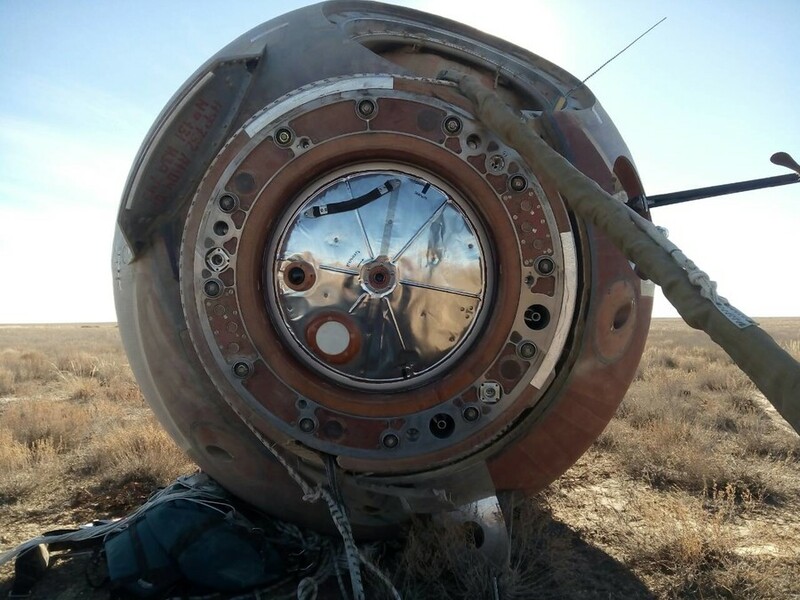 One by one the umbilical towers that nestle the 300-ton kerosene powered Soyuz FG rocket, which has never failed since its first launch in 2001, fall away. 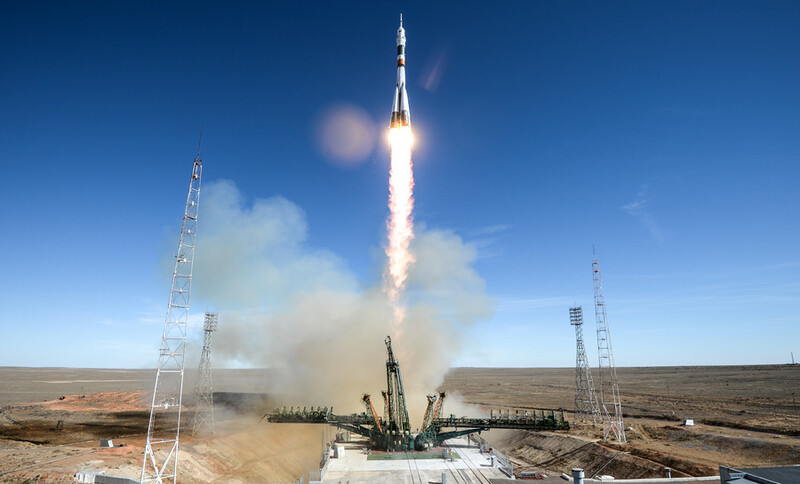 In graceful slow motion, the rocket soars, then accelerates at an angle into the clear azure sky over the Kazakh desert, towards the orbiting International Space Station, to which the Soyuz will attach in six hours. Inside, the two men follow the progress of the rocket on their tablets, while ground control calmly details each stage, and the monitor shows altitude rising together with the speed, measured in meters per second – 1600, 1700, 1800. 120 second into the flight, the booster rockets, the giant fast-burning firecrackers that power the initial upward thrust are scheduled to detach. That never happens as designed. A stuttering video appears to show the two spacemen jerked from their seats – likely entering weightlessness as the rocket lost speed. The feed then cuts out. 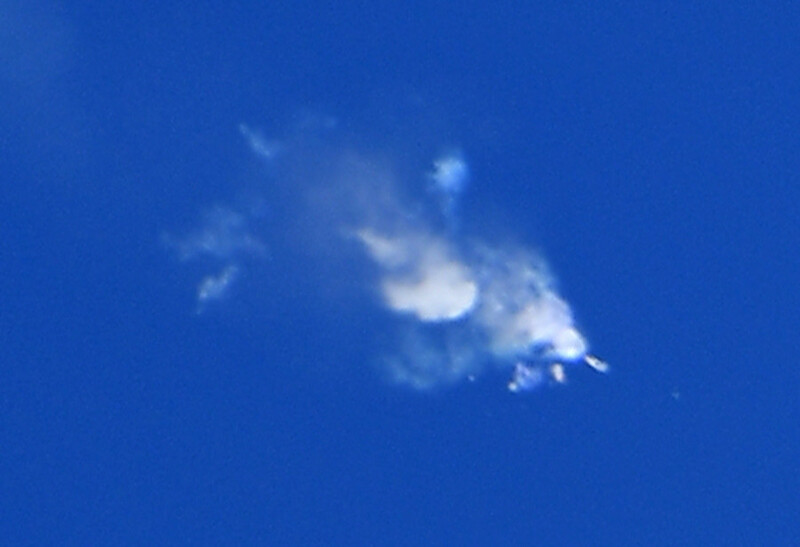 A ground camera shows flashing fragments disperse from the body of the rocket. 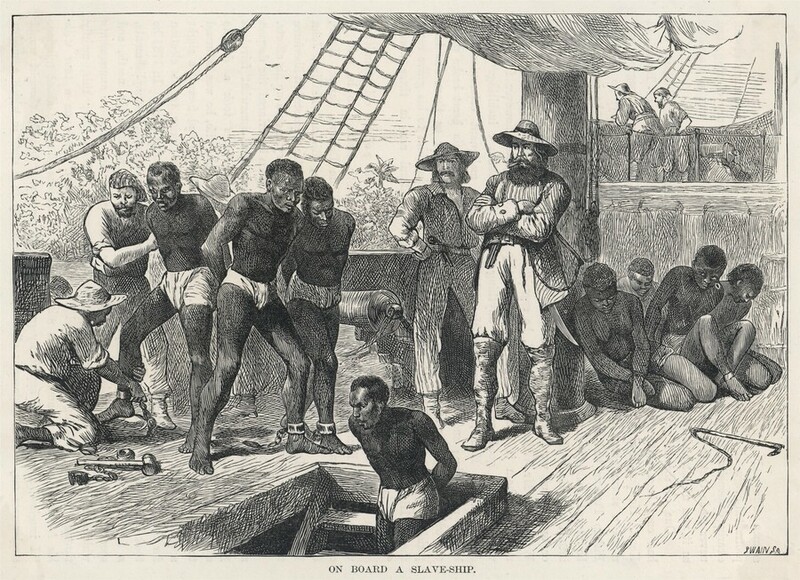 “A carrier accident,” a voice on the ground says dispassionately. 123 seconds into the flight, the emergency escape system activates, and the capsule detaches itself from the rocket, and falls back down towards the ground on a severe ballistic trajectory. No one sitting at the controls in Moscow was here on April 5, 1975, the last time the Soyuz booster rockets failed on ascent during a manned flight. The Soyuz 18-1 was carrying two cosmonauts up to Salyut-4, the Soviet space station. That time, the launch vehicle made it 145 km above ground, and the failure occurred between the second and third stages. Vasily Lazarev and Oleg Makarov were subjected to 20 g as they plunged towards a snowy Siberian taiga. Neither died, though Lazarev was reported to have never recovered from the physical strain. Ovchinin and Hague are luckier that their failure occurred earlier. Reports say they suffer 6.7 g – worse than the driver of a Formula 1 car pressing hard on the brakes, but less than the maximum they were subjected to during their training at Star City. As the Russian space agency continues to post scheduled tweets about the spaceflight that no longer is, 24 teams are dispatched to search for the men. 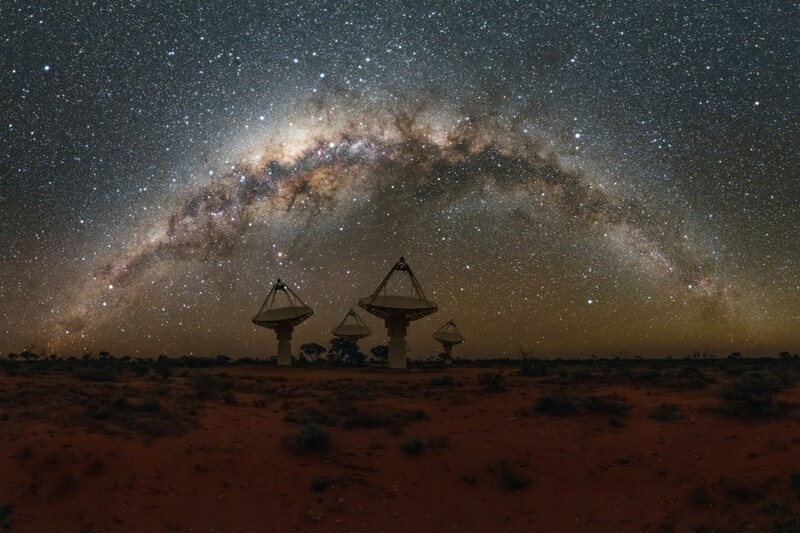 Within minutes radio contact is re-established. 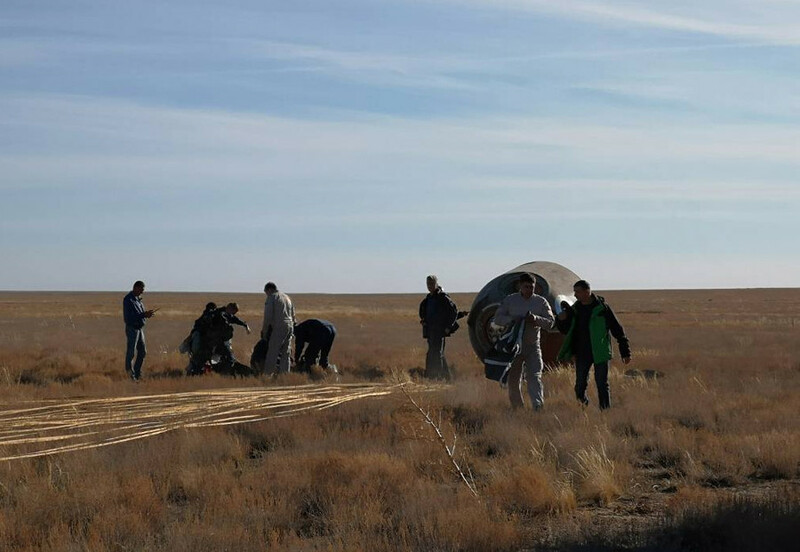 The escape capsule landed 400 km from Baikonur, in the Kazakh steppe, 20 km away from the nearest large settlement. In the barren landscape it is quickly found. The pod is overturned, and Ovchinin and Hague extracted. They appear to have suffered no physical injuries. “That was a quick trip,”joked Ovchinin, while they were still descending, and the two men are filmed arriving back in Baikonur, and even eating their dinner, to prove they really are OK.
Besieged by dozens of phone calls from reporters, his wife Svetlana, says "Thank God, they are OK."
For the two men, the worst disaster since the 2003 Columbia crash – the last time astronauts died in action – has been averted. If all goes well, they will get another chance. 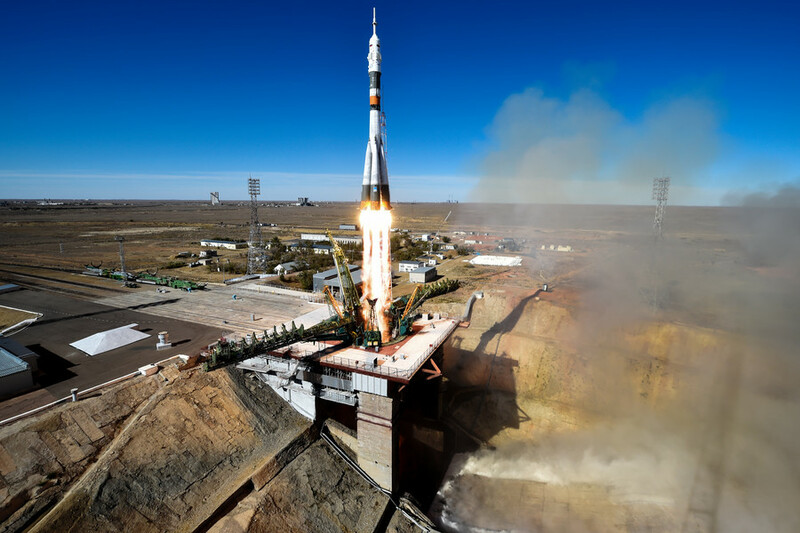 For the manufacturers and operators of the Soyuz, formerly a testament to the reliability of the Soviet and Russian space program, a new narrative of analysis and blame begins today, and surely heads will roll, publicly or behind the scenes. As for the crew members already up on the ISS, they can expect a longer-than-planned expedition, while the only space fleet capable of carrying humans to orbit remains grounded.